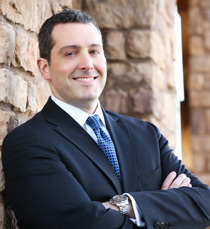 Chad is a seasoned insurance consultant with over 17 years of experience working with both large and small employers. He has developed a thorough knowledge in the areas of Voluntary and Group Benefit Consulting, as well as Health & Wellness Management. Chad began his career 17 years ago at Strategic Financial Partners as a Managing Associate. He Spent seven years training, coaching and recruiting for Strategic Financial Partners. For the last 12 years, Chad has worked for a large national voluntary insurance company specializing in partnering with benefit brokers as the subject matter expert in voluntary benefit planning. Chad is passionate in building strong broker partnerships, strategic alliances and business growth strategies. Chad and his wife Tiffany of almost 20 years reside in Folsom where they love the outdoors, spending time with family and friends. They have two children, Kaitlin and Kyle Both are very involved with sports, school and friends.